Death is difficult. But being forgotten is a tragedy. If your life’s story is forgotten, what is left? With ordinary funeral homes, you are often left with nothing. At McCowen & Secord Life Story Funeral Homes®, we keep your story alive. Our focus is on you, your Life Story®, and the life you lived. A Life Story is much more than words, more than memories. A Life Story is a lasting legacy. And at McCowen & Secord Life Story Funeral Homes, we help you preserve that story, so it can be passed on from generation to generation. Why do we write people’s stories? To Share, and to Save. Sharing the Life Story at the funeral service adds meaning for the diverse group of people in attendance. Most people know one aspect of the person’s life; including the story shares many aspects of the person being remembered. It is a way to honor the deceased. It is a way to educate and inspire friends and family. And it is a way to heal those closest to the deceased. You’ll find many friends and even family will learn things they never knew, and be grateful for it. Most of us believe that we will never forget those that are closest to us. However, time slowly wipes away the details, and eventually the memories and stories about family members begin to fade away. Writing the Life Story of each family member can ensure that the story is saved and NEVER forgotten. Generations can pass, and the Life Story will live on. Imagine if you had stories written about all your ancestors from the last 100 years… now THAT would be amazing, and it is entirely possible. We can begin that for your family today. How are Life Stories shared and saved? 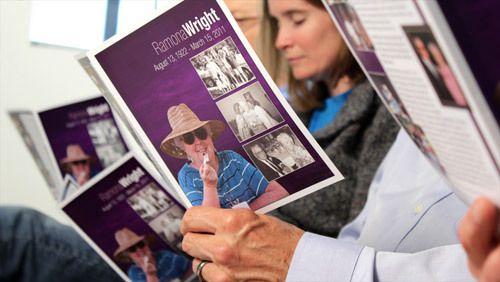 We share the story by placing it in printed “Memory Folders” that are passed out at the service, and also by placing it on a web “Memory Page”. 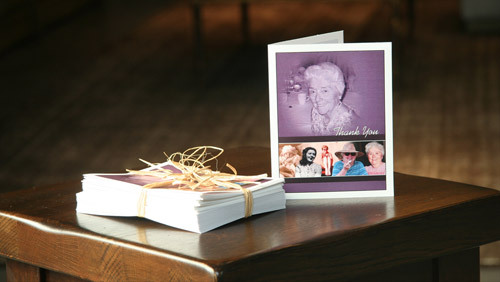 HD Films can also be created using the Life Story, and displayed during the visitations and services. The story can be saved by creating the high-definition film, or creating a hard cover Life Story Book. These wonderful keepsakes protect the story so it can be handed down easily from generation to generation.